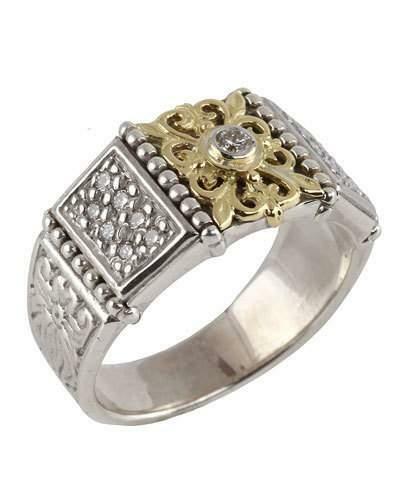 Konstantino band ring from the Asteri Collection. Signature etched sterling silver and 18-karat yellow gold. Ornate paneled frame with signature floral and granule detailing. Bezel-set white diamond center; pav diamond side panels. G-H, VS2/SI2 diamonds; 0.27 total carat weight. Handcrafted in Greece.